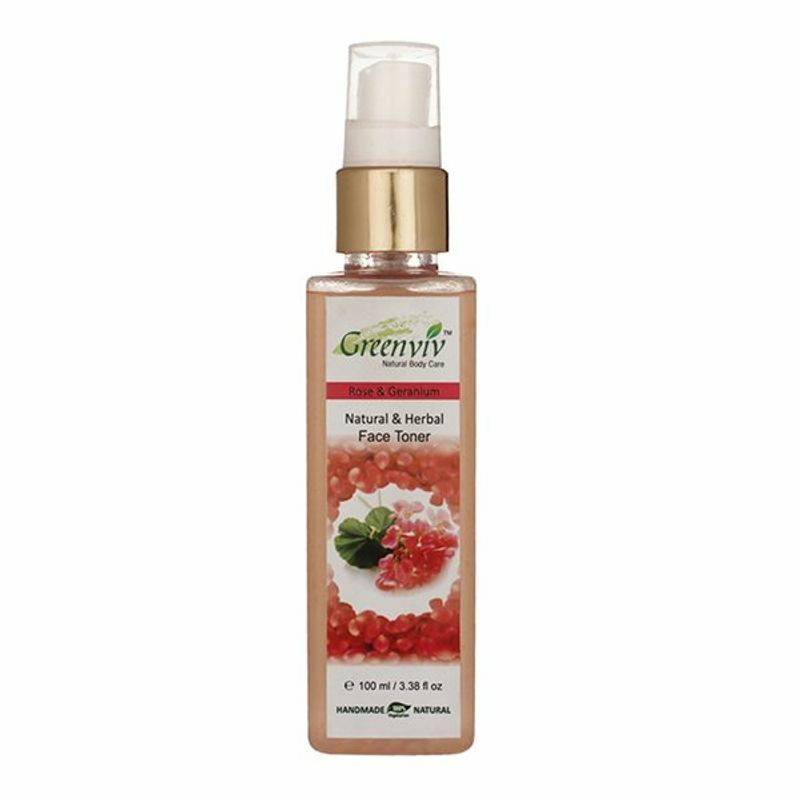 Greenviv Natural Rose and Geranium Toner is made from a blend of natural ingredients that control excess oil secretion and cleanse oil from the skin's surface. It is an effective astringent toner to help tighten the pores and mattify the skin. This non-sticky toner will not only give you glowing and refreshing skin, but will also eliminate the impurities from deep within. Applying this toner after a facial will tighten the pores, and give you a healthy-looking skin.